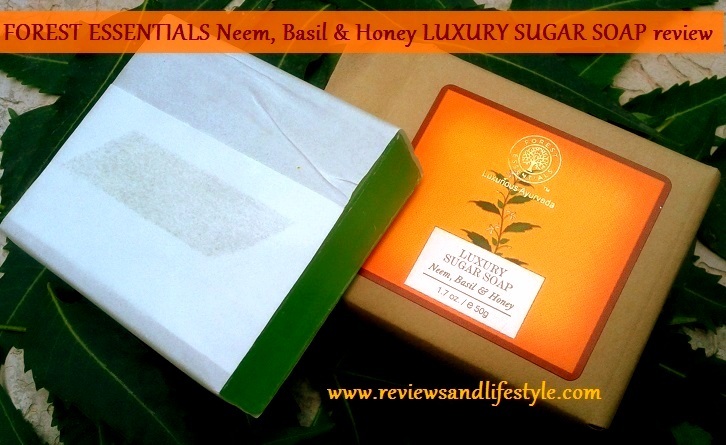 This is a review of Forest Essentials Neem, Basil and Honey Luxury Sugar Soap. If I have to sum up this review in one word, it would be 'LUXURY'. This soap is truly a luxury to indulge in and that is why it comes with a premium price tag too. Availability: You can buy Forest Essentials products online from Jabong.com and Flipkart.com. Jabong.com mostly gives coupons over weekends, which you can use to purchase such luxury products at a high discount. I had received this Forest Essentials handmade soaps kit as a gift and it has 2 of their luxury sugar soaps and 2 luxury butter soaps. 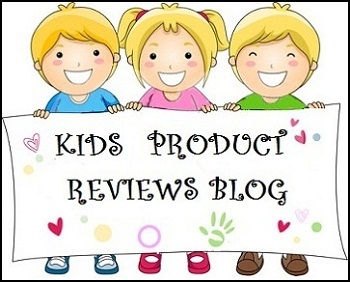 The one I am reviewing is a smaller 50 gms soap bar from this kit. The kit is priced at Rs 875. 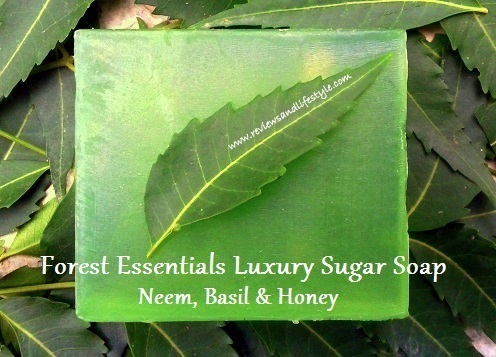 Forest Essentials Luxury Soap Neem, Basil and Honey is a clear transparent soap with sugar, and adds natural oils to your skin. Apart from gently cleansing your skin, helps to keep it soft and hydrated. These soaps are made by hand using the old-fashioned cold process. Unlike other handmade soaps, there is no plastic wrapping here. 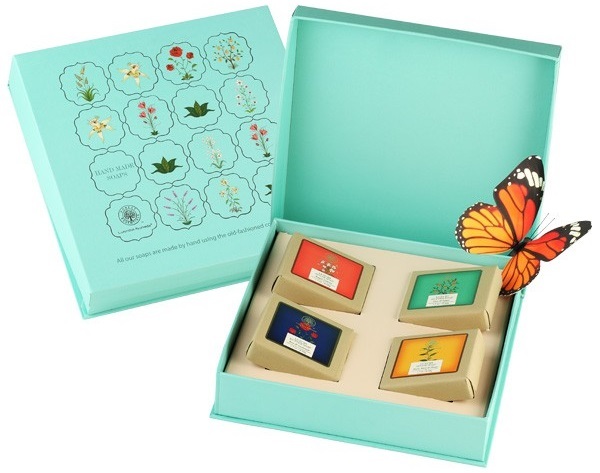 The outer cover is high quality hand made paper and on the inner, there is an easy to remove butter paper wrapping. Just have a look at the heavenly ingredients and you would know what makes this soap a luxury. Pure Cold-Pressed Coconut Oil and Almond oil from sweet almonds nourish the skin. Pure unprocessed Raw Cane Sugar and Glycerin are natural humectants. These soften skin, moisturize and prevent moisture loss from the skin. Glycerin gets naturally added to handmade soaps as it is formed during the natural saponification of soap. Reetha contains Saponin, and is a natural soap/cleanser. It is also used in preparation of quality Ayurvedic cleansers. Vitamin E provides anti-oxidant benefits and is acts as a natural preservative in this soap. Organic Honey is again a natural antioxidant. It replenishes skin moisture, leaving it feeling soft and supple. It absorbs impurities from skin pores, making it an ideal cleansing agent. Aloe Vera has skin soothing properties. Neem oil has healing, cooling, antiseptic, antibacterial and skin purifying properties. Holy Basil/ Tulsi essential oil is refreshing and de-stressing. Infusions of Organic fruits and flowers, natural spring water, and the by-products like Glycerine are retained, unlike most commercially made soaps. This is a transparent green glycerin soap bar. As it contains antiseptic ingredients like Neem and Basil, I expected the same results from it as the Soulflower Tea Tree Glycerin soap I have reviewed earlier. Forest Essentials Neem, Basil and Honey Luxury Sugar Soap has a herbal refreshing fragarance and I can clearly smell both Neem and Basil/Tulsi. The soap is extremely soft to touch. It literally glides on the skin and just one rub on wet skin is enough. Now just rub a wet loofah over that and see oodles of luxurious white creamy lather. Apart from the ingredients, it is this extremely rich soft creamy lather that makes bathing with this Forest Essential soap a truly luxurious experience. The lather feels like whipped cream and you will feel as if you have shaving cream on your body. TIP: To take your bathing experience to yet another sensual level, just pour small amounts of water down your shoulder and feel the lather sliding on your body with small bubbles bursting all over your skin creating a heavenly sensation. This happens with all hand made soaps. The lather being very thick does not come off by simply pouring water. You need a little rubbing to remove the thick layers of lather, though it does not feel soapy like shower gels. It leaves skin extremely soft and moisturized. It gives you a great spa-like bathing experience. While ingredients and lather wise it is much better than Soulflower glycerin soaps, it didn't really protect my skin from skin infections. I get painful eruptions every year in summers, mainly hair follicle infections. I did not have a single infection when I was using Soulflower Tea tree glycerin soap, but I have several eruptions right now even when I am using this Forest Essentials Neem Basil antiseptic soap. 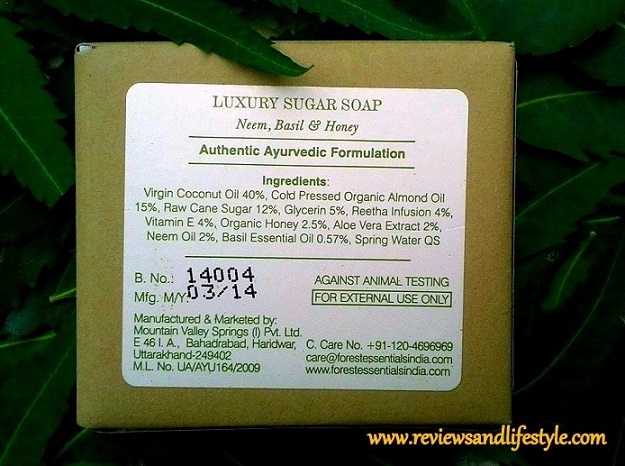 If you love shower gels or like luxurious baths to pamper yourself at home, without spending a fortune at spas, then do try this Forest Essential Luxury Sugar Soap or the other handmade soaps I have reviewed earlier. These are far better than shower gels, have no harmful chemicals, are cruelty-free as not tested on animals, and eco-friendly too as they come off easily with less amount of water and are not tested on animals. Wow i am definitely gonna try it out! I love neem in my skincar! I wish they were less pricey! 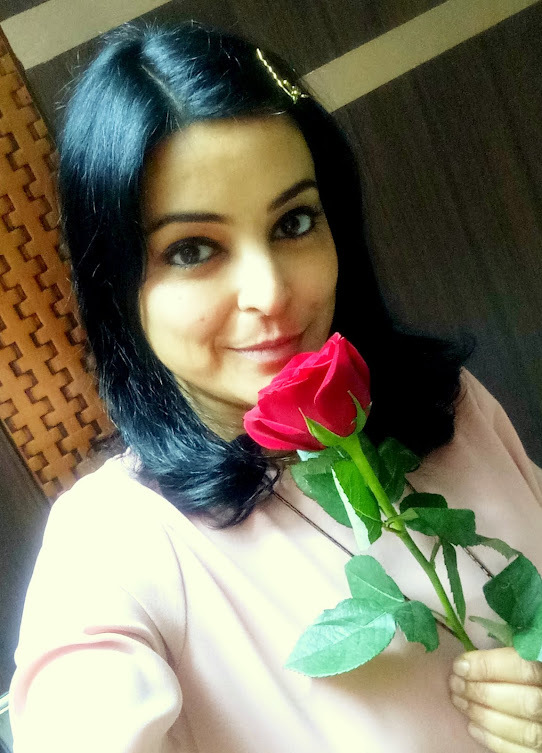 Even I feel the price to be an 'Ouch' Megha. Soulflower's tea tree soap is much effective than this in terms of protection. But the ingredients used by Forest Essentials are damn impressive. Really, why would anyone spend close to 400 bucks on just a soap. I am totally with you on this Supriya. The prices are VERY high. Rather I went to repurchase the Soulflower tea tree glycerin soap yesterday and now they have also increased the price by bucks a few days after this article. I have used another FE soap by now and didn't like that at all. 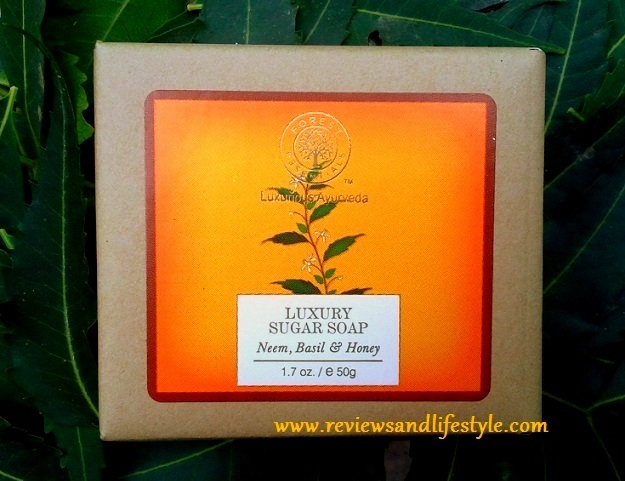 This neem basil sugar soap I had loved. But personally, I would also never buy such a costly soap if there are equally good alternatives available in an affordable price range.